Modern SEO involves meeting users at the point of their needs. It’s not about ranking at #1 – as wonderful as that might seem – but rather, it’s about providing enormous value, so that when people visit your page from the search engine, they’ll stick around instead of bouncing off. Most likely, you’ve got a lot of competition. Millions of pieces of content are published every month, the majority being written content. So you can either stand out from the crowd with valuable content, or get drowned with mediocre content. Head keywords (e.g., guitar lessons) have a huge search volume, but long tail keywords (e.g., best guitar lessons for beginners) will help you rank higher in the Google results because they’re less competitive. Top brands with huge marketing budgets don’t go after long-tail keywords, because the search volumes are relatively small. But the traffic that comes to you will be highly targeted and motivated, because they’ve specified exactly where they are (beginners) and what they want (to take guitar lessons). 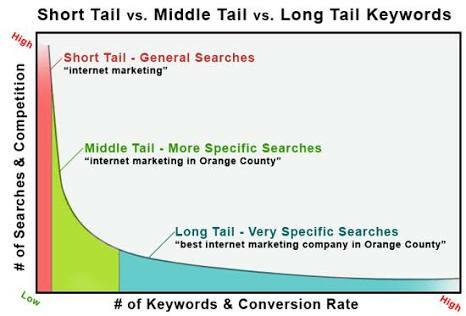 In fact, long-tail keywords convert 2X better than their associated head keywords. 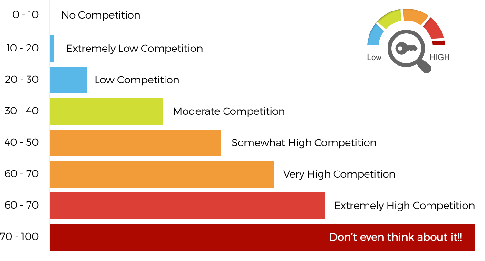 The competition is increasingly using these keyword research tools. And the keywords you once thought were hidden have now been made available to everyone. Google wants everybody to have access to that research. That’s why the Google AdWords Keyword Planner tool is 100% free. However, in this article I want to show you how to generate long-tail keywords using two different tools: Quora and Google Trends. There are lots of Q&A sites, but Quora is probably the most popular. In fact, it’s the 140th biggest site in the world overall. No matter what topic you plan to cover, you’ll find relevant questions and the corresponding answers from thought leaders in that field. Quora has millions of members, but you may not generate thousands of visitors from there. But if your site is just starting out, an extra 100 – 200 visitors from Quora can make a big difference to you. Quora is great for keyword research. And throughout this section, I’ll show you how to use it for that purpose. These are the questions that are highlighted for you as a result of your settings and preferences. During registration, you indicated the topics that you want to get questions on. That area is referred to as “Knows About” and there you can describe your areas of expertise. When you click on a particular question, you’ll see when it was last asked and the number of views it’s generated. These “Related Questions” are a goldmine of keywords. If you’re smart enough, you can generate a handful of long-tail keywords that most people hardly see, all from this section alone. That said, let’s quickly delve into Quora keyword research properly. Specifically, we’re going to find out how to turn every Quora question into profitable keywords. Are you ready? 1). Treat questions as keywords: What role do you think questions play in the search engines? You might never have given it much thought, but in reality, questions are actually keywords. On the surface, these keywords don’t look like questions. However, when you understand the intent behind any keyword, you get some insight into what a search term actually represents. That’s where Quora comes in. Still using the above keywords as an example, let’s see some of the questions related to them. Quora is user friendly. It helps you understand the purpose of a particular keyword. The downside to head keywords (e.g., custom coffee mugs) is that you can’t tell what the searcher is looking for. That’s also one of the main reasons why you should treat every question on Quora as a keyword. It’s obvious that the person asking this question on Quora is looking for insights and possibly success stories about becoming a millionaire or achieving his financial goals. This question isn’t from some hit-and-run guy who is trying to play around with grammar. It’s a real question from a real person who perceives he has a real problem. SEO success today hinges on user optimization – that is, making your content useful, timely, unique, and relevant to a certain group of people. It’s got nothing to do with trying to rank for a particular keyword or key phrases. It’s about making an impact and gaining authority. Sure, you could employ black hat SEO and get people onto your page – but once they’re there, they’ll still ignore your content if it’s utterly worthless. So before we move on, have a different mindset about Quora and its questions. They’re not just random questions from random people. They represent real keywords and have great potential. And the community votes on which answers are most helpful. Reverse engineering is frequently used in computer and software development. It simply means taking apart an object and examining it to see how it works, in order to improve on it or replicate its processes on other objects. In the context of SEO, reverse-engineering entails leveraging questions and generating keyword variations through them. i). Step one: Search for relevant questions on Quora. You can input a word or two (e.g., lose weight) into the search box, then hit the “enter” button from your keyboard. 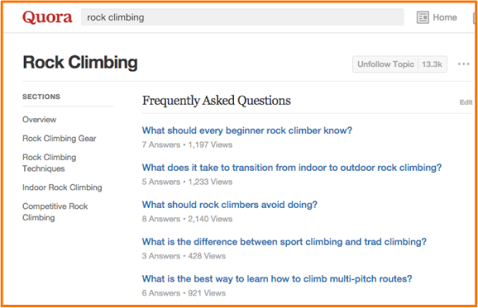 To truly enjoy the benefits of organic traffic and rankings, you need to take a Quora question and dig into it more deeply to find more long-tail keywords for your article. Question Answered: Why Is It So Hard for Me to Lose Weight? To avoid over-optimizing your content for exact match keyword phrases, you should use Latent Semantic Indexing (LSI). Don’t be confused by that phrase – LSI simply refers to the keywords’ synonyms. The use of LSI will ensure that your content reads naturally, and help Google understand the people you’re targeting. It’s important to sprinkle in LSI terms throughout your content. Here’s why: If you’re writing about Apple, Google doesn’t know which particular Apple (or apple) you’re referring to. Are you referring to Apple, the Palo Alto company? Or Apple’s products, like iPhone, iPad, iMac, iOS, etc.? Let’s say that you’re writing about Apple products. To make it easier for Google and users to understand what you’re referring to, you should include the product names and types – e.g., Apple iPad, Apple iPhone, Apple apps, etc. Additionally, using LSI keywords when creating your content can protect you against over-optimizing for an exact match keyword. If you’re referring to apple as the fruit, then mentioning other fruits like strawberries, pineapple, bananas, etc., can help Google rank your content for related keywords. LSI keywords also help make your content interesting, keyword-rich, and timely. Keywords are the lifeblood of search. Google is not about to ditch the value attached to keywords. But user intent is actually a better way to understand the role of keywords in any piece of content – not to manipulate rankings, but to add value for your users. The right keywords can skyrocket your search visibility, traction, sales, and revenue. If you want to scale your keywords research, there’s no better alternative than utilizing Google’s own tools – specifically, Google Trends. As the term implies, Google Trends shows you high-volume trending search terms in your niche. It also reveals the growth rate of a particular search term before it shows up in the Keywords Planner or any other keyword suggestion tool. Bear in mind that most keyword suggestion tools mine Google’s keyword database. They simply connect through the API, and when Google updates its keyword database, these privately-owned tools are also updated. Google Trends helps you eliminate the guesswork. Instead of assuming that a particular keyword will continue to rank and blindly investing in it, you’ll discover the trend over the last 6 months. Investment in SEO is relatively high compared to PPC. According to Econsultancy, SEO produces a 28% return on investment (ROI), while PPC produces 15%. Before you invest $1,000 or more in your SEO campaign, it’s always good to know whether your keyword is growing or shrinking in popularity. i). First step: Go to Google Trends. On the homepage, enter the primary keyword (e.g., guitar lessons) that you want to rank for or create content about. Then hit the “enter” button from your keyboard. ii). Second step: Analyze your keyword trend. This is where you determine whether the keyword you want to target is gaining popularity or losing it. This is a huge surprise to me, because I’d thought that “guitar lessons” would be a perpetually hot topic, one that’s worth building an authority site on. But how wrong I was! You can see that the term “guitar lessons” was popular in 2005, but has continually and steadily being falling ever since. Of course, if you check Google AdWords Keyword Planner, you might see a huge search volume for such keywords. But Google Trends gives us a fresher, more current take. On the other hand, a popular term “content marketing” still enjoys a steady growth rate since 2011 – a time when both B2B and B2C companies began to embrace it. Google Trends gives you deeper insight into what people want at a particular time. Sure, you can always compare past trends to the current ones and strike a balance. During Halloween seasons, costumes usually trend incredibly high. The reason isn’t hard to guess – people want to buy costumes. 1). Analyze the Google Trends Related Stories for insights: The first thing that you’ll want to do with Google Trends when looking for long-tail keyword opportunities is to analyze the related stories. Simply enter the keyword you want to measure and analyze its popularity. First, the keyword “how to paint a car” has a relatively stable growth rate. It picked up significantly in 2011 and that trend has continued. The next thing you should do is copy one of the search terms from the “Related Stories” above and plug it into Keywordtool.io. Note that some of the search terms listed under queries may be hidden in the Google AdWords Keyword Planner. Perhaps you don’t know how to access them. As you can see from the screenshot above, there are several long-tail keywords already generated for your “car painting” business. Those are also the LSI keywords that match the main keyword (“how to paint a car”). Of course, the items in this section aren’t static. They’ll change, and when you check it in another 2 hours, you’ll very possibly find entirely different stories there. You might even find one of those stories is about your topic. Who knows? You’ve got to understand that keyword research isn’t for lazy marketers looking for a quick buck. It might look simple, but it’s definitely not easy. Sure, you can use the Google AdWords Keyword Tool to find keywords, but you’ll be racing against your competition, because that’s the tool authoritative sites like CNN, BBC, IMDb, Moz, Yahoo! Business, Inc., and several others use. But you can use Quora and Google Trends to generate low-hanging fruit that’s ripe for your picking, which you can use to create irresistible titles and content, and drive organic traffic.